Other stories indicated that third rail and freight operations can't coexist. Basically, one has to go to the Red Line Extension Alternatives Analysis page. The last thing posted there is the Stage 3 analysis of 2009, which indicates in the second pdf that somehow the consultants think that a "single column" concrete elevated structure would work on either S. Halsted or the railroad right of way. Page 13 has such a structure to the left of the railroad, and the railroad itself is at grade. There seems to be the issue whether there is enough room next to the rail right of way to build that structure, or whether a conventional L structure (essentially a "double deck") would need to be built over the freight tracks. I can't put my fingers on from where I remember this, but the Sun-Times seems to have the most comprehensive coverage, including a map of the UP alternative on either the east or west side of the tracks. I think you are incorrect. The Union Pacific freight line is NOT AN EMBANKMENT. The freight tracks are surface level tracks with street crossings every two block with lights and crossing gates. The freight line comes elevated south of 115th St. where it goes southeasterly to cross the CN/ Metra Electric District and then goes back to surface operation. The Red Line plan calls to an elevated "L" right-of-way structure like the Orange line built next to the UP. That only covers south of 115th. Like you said, north of 115th is surface. So the question is, what is CTA proposing? Are they looking for surface rail next to the UP tracks (separated of course) or are they looking to build an elevated structure on the remaining row next to or above the UP tracks? Go back and read my post here, and follow those links. Actually, building an elevated structure above Halsted St from 99th to 127th or so would probably be the best alternative as far as having the largest potential ridership. Building an L along the old CWI would be OK as far as 115th St, but after that you are in no-mans-land all the way to Altgeld Gardens. However, I can see massive NIMBY problems with Halsted St. Somehow I really doubt that anything will ever come of this, as the money involved would seem to be too huge to be feasible. I remember seeing the East UP and West UP alternatives showing the high number of abandoned lots along each choice, and with the depressed land and housing values in that area it doesn't seem as expensive as say the Brown line flyover condemnations will be(per lot). There were references to relocation and/or rebuilding options in that same area. There's a lot of empty lots in the immediate area, many times even next to where a house may be taken for the right-of-way, although if it were me, I'd choose to be relocated a little further from the elevated tracks, but walking distance to a station. Also, why even bring up other choices if the preferred alternative is already chosen? The way I read the latest statements along with the older information is that perhaps there's some negotiation with UP(and CREATE funding?) to build a side-by-side elevated embankment similiar to how the CTA and UP share an embankment in Oak Park on the Green Line. The differences today is that there is a minimum spacing required between heavy rail and freight that would separate them a bit on the Red Line extension. Several alternatives, which included different routes and technologies, were considered during the Alternatives Analysis process. The alternatives were then narrowed down through public and agency feedback to the four alternatives described here. These alternatives are being analyzed in the Draft Environmental Impact Statement. There was a similar thing for the Yellow Line--a LPA was announced, but then a "scoping hearing" for the EIS was announced, and the mayor got a big turnout to kill it. Claypool said something about delays weren't on his watch, but the red tape has been going for 7 years, and the press release indicates that the environmental impact analysis grant was in 2011. I really doubt that they want to get this off the schneid. Perhaps more hair raising was the revelation out of this weeks open house that CTA wants to lay claim on 259 properties to send the Red line to 130th. Wow!! This make the Brown line flyover acquisition look like child's play. There's also a Sun-Times link here. While the number of properties is higher, I bet the value isn't. Anyway, it just seems at this stage to be an environmental analysis of alternatives, and not sending notices to the property owners, which they did do on the north side. Also, this seems a consequence of regardless if they have a right of way next to the UP, land is going to be needed for stations and bus terminals. The only existing setaside seems to be at 115th and Michigan. Two reasons for creating this is, one, for the future, if they hopefully do get started, and, secondly, to ask a question that I didn't feel was too appropriate for any other current topic. Question: The plans stated that each station would have bus facilities. Are they all going to be like the ones on the Orange Line, or full-fledge bus terminals like Jeff. Park, 95th, Midway, etc. I imagine that they might cut back the #103 and #106 to the 103rd station. Is there a lot of ridership on the #112 between the 95th station and 103rd/Vincennes? If there isn't, I think they would reroute it to the 103rd station, so it could still serve as a Red Line feeder route for Julian HS. 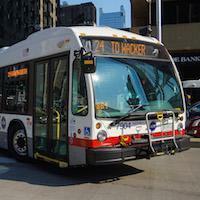 ​Both CTA and Pace are working on a plan. ​You haven't defined what the distinction is, and the quick answer is that they are no where close to doing architectural renderings. The only thing that was said was that the city was saving land at 115th between State and Michigan for station facilities. It also appears from what was said about the very preliminary environmental assessment stage that they would have to condemn land for stations at 103rd and 111th. ​We've debated that before (most recently yesterday with respect to 127th/130th), but no they don't have any plans, and I have frequently noted that by borrowing $200 million to construct a $240 million bus terminal at 95th, either they are wasting a lot of money or admitting that the extension is not happening in the conceivable future. If you consider the bus lines that have been said can be fed into stations further south (stations supposed to be at 103rd/Stewart, 111th/Stewart, 115th/Michigan and 130th/Altgeld), that basically leaves only 29, 34, 95E, 95W, S. Cottage, S. King Dr.. S. Vincennes, and 381 for 95th. Nearly a year later and not a peep about this project. Is this a pipe dream? Nothing new on the CTA page since 2014, but it then said (and still says) that EIS hearings in 2016..
Tribune article that the Red Line Extension Tortoise is to the next bureaucratic stage, with possible completion by 2026. If CTA is hoarding 5000s for this, they will need to be rehabbed by then. If they rehab the 5000s, then changing the seat layout is a must. 2. I'm against any expansion until the North Side Mainline is fully rebuilt. Fix up what you already have, before you expand the system. The same goes for Metra, which wants to add a station on the UP North Line at Peterson, while Rogers Park & Clybourn are dumps! The sole reason for that proposed station comes from Ald. O'Connor, whose wife has extensive real estate properties in the area that would benefit from a station. Any funding for any project is separate. With respect to either RPM or the extension, the issue in either case is whether the FAST Act ever provides a path to eventual funding. Obviously, the path mentioned in the article for the extension apparently comes to fruition, if at all, at the earliest in 2022. The article also mentioned TIFs for the local match, but a Transit TIF established within one-half mile of the Red Line between Lawrence to Howard has nothing to do with a Transit TIF in Roseland. It has nothing to do with the funding, it has to do with priorities. The existing system is more important than expanding the system. Once the existing system is running at optimal capabilities, then you build on new extensions. The sole reason for the 130th extension is being driven by politics. The multi-billion dollar cost is not currently cost effective for the number of people who will actually use it. Expanding bus service to those areas, especially making some of them express or limited routes would give places like Altgeld Gardens far better service & could do that quite quickly. But your statement is essentially the equivalent to that the Douglas should not have been fixed because the Roscoe flyover is needed. If the money is available (and note, any money for the extension is not now available, thus establishing a certain order of priorities), there isn't a reason why two projects can't proceed at once (as the Dan Ryan and Jefferson Park extensions did in 1969-70), and if your criterion is that the entire system has to be in a state of good repair before any expansion, that will never happen, given that construction has a service life of 40 years, and, for instance, the Congress line also has to be rebuilt, and the Logan Square segment has to be made accessible. So, no extensions until you are dead, I assume. On the other hand,since you bring up priorities, I don't recall you saying anything about King Richard II wasting $300 million of CTA money on Block 37. I believe that there are many people that will benefit from the Red Line extension. There's a heavy south suburban ridership from routes like 352, 353, and 359 that currently feed 95th, with 352 already offering limited stops in the city and 359 operating express north of 119th. How do you justify the far south side not having L service but suburbs like Evanston, Skokie, and Wilmette do? This isn't negating the need for a rebuilt north main and Purple Line structure through the aforementioned Evanston. To say that the North Side should come before the South Side is ridiculous. Whichever project the government funds first will be the first one done. Most Evanstonians and North Siders aren't going past downtown. Many far South Side rs and South Suburbanites go past downtown. If you have a hour plus commute, why wouldn't it be beneficial to you if the CTA could cut 30 minutes or more off of your travel time or even 15 minutes. This isn't negating the need for a rebuilt north main and Purple Line structure through the aforementioned Evanston. RPM only extends to Rogers Ave.
As I have indicated though, the current 95th station expansion is inconsistent with alleviating that soon. Maybe not with alleviating that in 2027. To say that the North Side should come before the South Side is ridiculous. Whichever project the government funds first will be the first one done. A little more detail, and no paywall, in the Sun-Times. Douglas was an existing line that needed rehab as are Congress & the old Milwaukee L section. I said fix what you already have before you expand. The NSML from Lawrence to Howard is a slow zone mess currently. It has far too many stations that are too close together, it's the only CTA line that has the ability to have all day express service, but never has. The signal system constantly gives the motormen false positives, causing them to stop & start the trains repeatedly, even though there's nothing ahead for miles. Lawrence, Argyle, Berwyn, Thorndale & Jarvis should be closed & removed forever! Lawrence passengers could enter Wilson at Leland, Argyle & Berwyn should be replaced with a Foster station, Build an entrance to Granville at Glenlake & then get rid of Thorndale & just close Jarvis, they can walk to Howard! And if they can't make sure that the Granville crossovers won't open up by accident, then weld them shut & be done with them! And believe me, I'm disgusted with all the money Daley wasted on that & hundreds of other useless projects & that Rahm has continued some of the most ridiculous ones, such as all the streetscaping foolishness when the city broke! Which is not to be cured in the plans currently being presented. Any idea of consolidating stations became moot when Joe Moore had the campaign to keep Jarvis open, 10 years ago, when the original alternatives analysis was done. Besides the never being questionable (i.e. I bet you don't go back to 1956), nothing stopping it from doing it now, except that one track is currently out of service, and if the current plans for reconstructing between Lawrence and Rogers are implemented, 2 tracks for a protracted time. The signal system constantly gives the motormen false positives, causing them to stop & start the trains repeatedly, even though there's nothing ahead for miles. There was just a slow zone elimination project there, and the signal system was upgraded. From what you say, CTA blew it again. Thorndale & Jarvis should be closed & removed forever! Lawrence passengers could enter Wilson at Leland, Argyle & Berwyn should be replaced with a Foster station, Build an entrance to Granville at Glenlake & then get rid of Thorndale & just close Jarvis, they can walk to Howard! Like I said above, it ain't gonna happen. That is unless you can get the chief planning job at CTA, and can overcome people like Joe Moore.